The U.S. Commerce Department’s National Institute of Standards and Technology (NIST) on Tuesday introduced CyberSeek, an interactive online tool which it says is designed to make it easier for cybersecurity job seekers to find openings and for employers to identify the skilled workers they need. The CyberSeek tool fills in knowledge gaps so policy makers, employers, security professionals and others will have greater visibility into the demand for cybersecurity professionals around the country, said NIST. It will allow them to see the skills and types of workers that employers are looking for, as well as the true supply of professionals to fill those positions. CyberSeek looks somewhat like a weather map, but instead of showing relative temperatures across the country, varying shades of color reveal relative concentrations of cybersecurity job postings and worker supply. Within the interactive map, users can search by state or more than 300 metropolitan areas. When viewing the map in either mode, they can see total job openings, worker supply, supply/demand ratio, a quotient for geographic concentration of workers and an area’s top cybersecurity jobs by title, said NIST. CyberSeek was created by CompTIA , a nonprofit trade association for IT professionals and organizations, and its partner, labor market analytics firm Burning Glass Technologies. It is the product of the first year of a three-year grant awarded by NIST to CompTIA. The first-year grant was for $249,000. The company has received its second-year funding of $110,000 to refine and expand the tool. 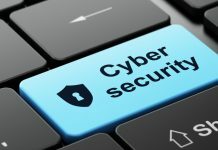 “This interactive tool will assist its users—students, employees, employers, policy makers, training providers and guidance counselors—to explore opportunities they may have never considered,” said Rodney Petersen, director of the National Initiative for Cybersecurity Education (NICE). “It can also help us to meet NICE’s goal of fostering a larger workforce to narrow the cybersecurity employment gap,” he added.